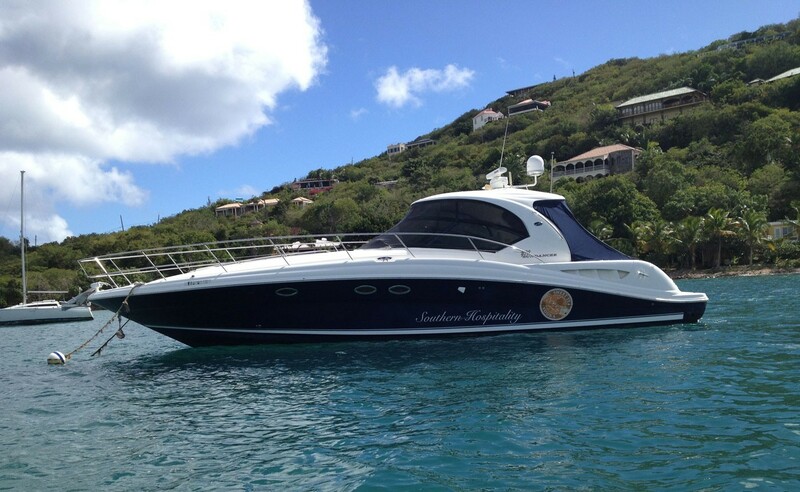 This sleek, exceptional 46 foot Sea Ray Motor Yacht is the only one like it in the islands. 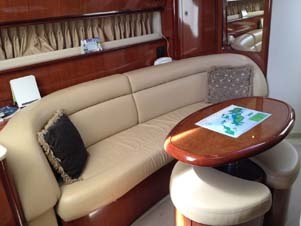 She features a large galley and covered indoor seating area and two full bathrooms. 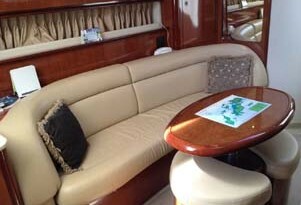 There’s a giant sun pad on her large bow where you can lay back and enjoy the island breezes. The aft deck features plenty of comfortable seating for several guests, and lots of shaded seating if you want to escape the tropical rays. Indoors, air conditioning cools the giant salon, and the refrigerator keeps those beverages icy cold. The Captain and crew have an incredible knowledge of the U.S. and British Virgin Islands and will ensure your day is one to remember.